This is very important in learning how to tighten skin, as healthy skin is well moisturized and tighten better. With this being said, consider using baby oil in order to hydrate the skin. You can put this on after taking a shower to help lock the moisture in. Almond oil and Castrol oil can also be helpful in hydration. For those who want to relax while hydrating, consider dropping a few drops of oil into the bath water to moisturize while you relax. Since you want to ensure that hydration is happening, be sure to avoid those soaps that are full of chemicals. These types of ingredients could be causing the dry skin in the first place. 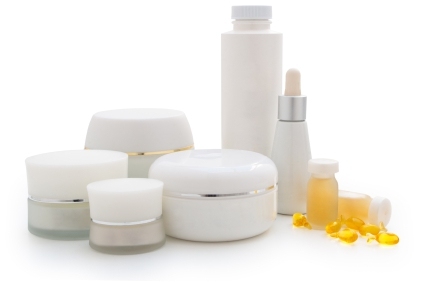 There are several skin firming creams and lotions that are on the market that are meant to help infuse the skin with vitamins and minerals to help with skin tightening. You should use this lotion at least once a day and make sure that you are hitting your problem areas. Choose lotions that are full of Vitamin A, Vitamin E and Collagen, which are needed to tighten the skin. If you want to avoid store creams, consider using pure aloe on your skin, as this can help to firm the skin as well. Take some castor oil, and mix this with lemon or lavender oil, and rub this onto the skin. You will find that this will add in more moisture than a store lotion, while also being a relaxing activity. Hydration starts on the inside, and this means that those who are wondering how to tighten skin should be drinking plenty of fluids throughout the day. You should be sure that you are drinking at least 6 to 8 glasses of water a day. You can also drink herbal teas and coconut water that not only hydrate the skin, but can add some minerals to the body. You should be sure that you are avoiding drinks that have caffeine, such as coffee, and also avoiding alcohol. You want to eat foods that are good for you, as the more good nutrients that you put into your body, the more likely you will see results with your skin tightening. You should eat foods that are going to help with building up collagen and elastin. Foods that fit this idea are vitamin C foods like citrus fruits, vegetables and avocado. Healthy fats like seeds, nuts, olive oil and salmon also help form collagen. Protein-rich foods such as milk, cottage cheese, tofu, legumes, and beans contain collagen and elastin forming components. Scientists have done research and found that through exfoliating the skin, the skin tightens faster than if it were to be left alone. Exfoliating the skin helps to increase the blood circulation, which helps to make the skin more elastic. Those who want to tighten the skin will find that using a scrub once a day, a few times a week, will help to tighten the skin tremendously. Mineral scrubs are extremely helpful. Not only is a massage going to help you to relax, it can also help to increase the blood circulation, which results in skin looking younger and smoother. It has been found that manipulating the skin with pushes and the like during a massage can actually increase the skin tightening of a person. Chlorine is one thing that can dry out the skin awful, which can result in the skin sagging even more. In addition, hot water can also strip the skin of natural oils, which will result in dry skin. If you do either of these activities on a regular basis, be sure that you are taking the time to add in more oils into the skin. You should also be sure that you are wearing sunscreen when out in the Sun, and avoiding the sun if at all possible. The rays from the sun will result in the skin becoming damaged. Damaged skin is less likely to tighten after weight loss. If you must be exposed, try to get a high SPF lotion to ensure that you are not causing damage. In the end, understand that when a person loses weight, they need to understand that their skin is going to sag, as it takes a while for the skin to adjust to the weight loss and smaller size. In addition, if a person were to lose a lot of weight, they may find greater loose skin after weight loss since so much weight has been lost. Those who lose weight should be ready to face the chances that their skin may not appear as it once was, but that losing weight was the best thing that they could have done for themselves. Server responsed at: 04/21/2019 10:35 a.m.